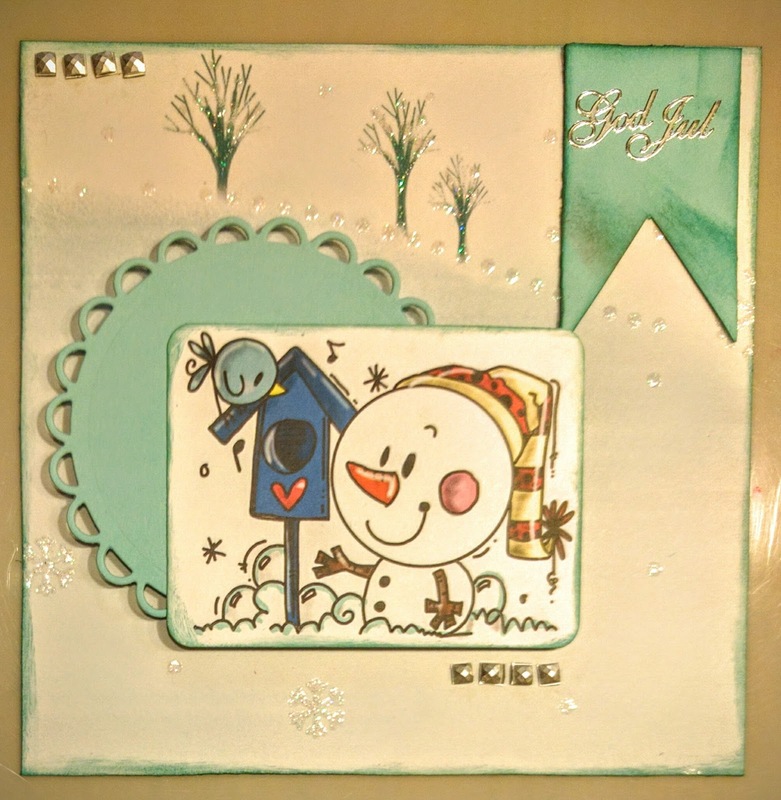 Mina gulliga vänner deltar i följande utmaningar: Catch the Bug (Stella Says Sketch), Winter Wonderland (Silver), CHNC Extra (ATG), Crafty Friends (ATG), The Crafter's Café (Bling), ABC (N is for Noel) och Creatalicious (ATG). Ihanasti sommiteltu ja kivat kaverukset! Cute image and card! Thanks for sharing with us at Winter Wonderland. So very cute. A darling card with a super cutei mage. Thanks for joining our challenge over at the Winter Wonderland. On Friday we are back with a new fun challenge. Love this! Such an awesome design! Thanks so much for sharing with us in the Crafty Friends "Anything Goes" challenge! I love snowmen and this cutie is no exception. I actually awwwed when I saw your charming card! Thank you for joining the fun at the ABC Challenge! Good luck and I hope you will play with us in our next challenge. I look forward to seeing more of your fabulous work!